Integrated process for sustainable agro-process waste treatment and climate change mitigation in Eastern Africa. - BioInnovate Africa Integrated process for sustainable agro-process waste treatment and climate change mitigation in Eastern Africa. Integrated process for sustainable agro-process waste treatment and climate change mitigation in Eastern Africa. BioInnovate Africa/Projects/Phase I/Integrated process for sustainable agro-process waste treatment and climate change mitigation in Eastern Africa. In the eastern Africa region agriculture and industrial processing are viewed as the main drivers of economic growth. However, these sectors are associated with environmental degradation due to the unsustainable utilization of land and water resources, discharge of untreated or partially treated waste water to the environment, greenhouse gas (GHG) emissions, and consequently climate change. There is also a growing demand for alternative energy sources to fossilized fuel that are cheaper and environmentally friendly. The current conventional agro-process waste water treatment processes in the region tend to separately focus on reducing pollution load or bio-gas production. These treatment processes do not integrate pollution reduction, energy and nutrient recovery from agro-process waste water to contribute to the ever-increasing energy demands but at the same time reduce GHG emissions. Furthermore, these waste water treatment technologies often do not meet national discharge standards to protect the human population and the environment. Innovative treatment technologies and processes that not only treat waste water from industrial activities from slaughterhouses, tanneries and breweries for example, but that also add value along the waste treatment chain are necessary strategies to contribute to global climate change mitigation efforts and environmental sustainability. This project focuses on developing and testing technologies for integrating biogas production and water and nutrient recycling from slaughterhouses, wine production and tanning processes in Uganda, Tanzania and Ethiopia respectively in partnership with the industrial partners in the respective countries. Integrated waste water treatment technologies that combine pollution reduction, energy and nutrient recovery from agro-industrial waste. In Uganda, initial testing of the pilot digester system receiving slaughterhouse wastewater at the Kampala City abattoir is complete and quantity and quality of biogas currently stands at 8-13 m3/day and 61% methane, respectively. Process performance optimization is ongoing. In Tanzania, construction of the integrated wastewater treatment facility for treating wastewater from the banana brewery as well as producing biogas, bio-fertilizer and clean water for reuse complete and process performance optimization is ongoing. In Ethiopia, preliminary data from the pilot scale two stage anaerobic-aerobic digester and constructed wetlands system for treating tannery wastewater and producing biogas and clean water for reuse has been completed and process performance optimization is on-going. Intellectual property audit and full techno economic feasibility analysis as well as a business plan developed for the three technologies to guide the scaling up and roll-out of these innovative technologies. Once the pilot-demonstrations are completed, the next step will be to scale up and disseminate and/or commercialize the innovations to industrial stakeholders in the region generating similar type waste water. Scaling up of technologies in partnership with interested industrial partners to fully manage their waste and convert it into value added products that not only impact their profitability but also solve environmental problems will follow. 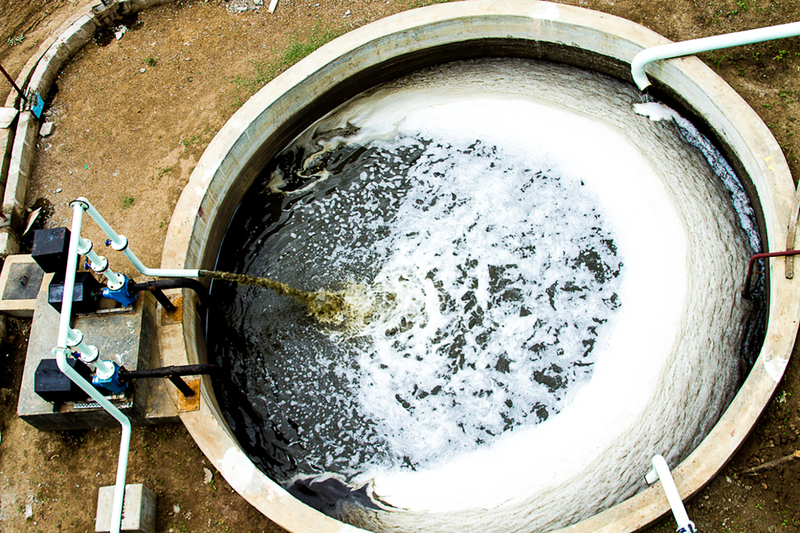 Search for innovative funding mechanisms has been initiated for scaling up and delivering these innovative waste water treatment solutions to prevent a pollution catastrophe in eastern Africa.